How to Market WordPress Themes & Plugins? How to Market WordPress Themes & Plugins? How to Market WordPress Themes & Plugins? In last few years, the market of WordPress products has seen significant growth. Today, WordPress developers, designers and bloggers are making good money using the content management system. For developers, it has become really possible to earn six or seven figures just by selling WordPress themes and plugins. The best thing about making money from WordPress products is that developers can earn passive income from it. By developing a product once, they continue to earn from it as long as it sells. However, not all developers have become successful in doing this, even if their work is better than others. The main reason behind their lagging behind is the lack of right marketing strategy. No matter what, every business and individual have to accept the fact that only quality can’t make you a winner today. Of course, talent, creativity and design are key factors of a theme and plugin, but if you haven’t worked on marketing the products, these products may never sell. If you have been developing WordPress plugins and themes for a while and are unable to sell them, then this article is going to be an interesting one for you. Why would you go for a free business model when you are spending your valuable time, creativity and skills on developing a high-quality plugin or theme? If you are having this question, then the answer is that you need to take baby steps. Not many people are going to buy a premium theme from someone they’ve not heard about. Baby steps are key to build an empire in the world of marketing and to make a strong online presence. Hence, you have to understand the importance of providing free WordPress products for some time. It will help you get new audience and word of mouth marketing. Further, you can monetize the products. If you still want to make money from the scratch, then better go for free plus premium business model. What this means is that you have to provide some features for free and others with the pro version. When users of your WordPress themes or plugins will like the free features, they might go to unlock premium features as well. Also, the users of free version will provide feedback, and their reviews can encourage others to go for your products. If you are having an exclusive website to sell your products, but are unable to make much money from them, then there can be two obstacles. First, your website is not attracting people. Second, you are unable to convince them to buy a product. To make more money from the same themes and plugins that you are selling from your website, showcase them on marketplaces. There are several marketplaces for WordPress products where users browse and buy themes or plugins of their choice. Since, these marketplaces have huge customer base, it will be easier for you to reach people who might be interested in your products. Whether they’re building a website or adding new functionality to existing site, they hang on to such marketplaces. Some of the well-known marketplaces to sell your WordPress themes and plugins are ThemeForest and CodeCanyon. If you are a theme developer, then ThemeForest and CodeCanyon are the best platforms to showcase your themes. ThemeForest has over 10,000 themes and templates which have been contributed by more than 2,500 developers and designers. As a new contributor, you will get 50% of the sales initially, and as you contribute and sale more, you can earn up to 70%. 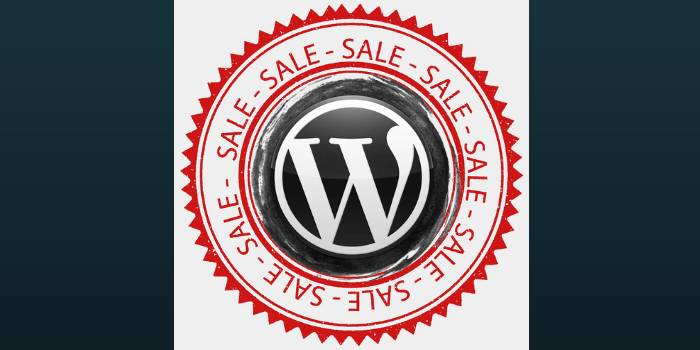 On the other hand, CodeCanyon is the right marketplace for you to sell WordPress plugins. Collaborating with others is one of the main tactic of marketing. By teaming up with WordPress developers, designers and writers who are in the same niche as yours, you can influence the launch of your themes and plugins. Why will other people collaborate with you? Because you aren’t the only one in market who wants to promote his/her products. Other people also want to market their products, and you can do the same for them. All you need to do is to find the right people. For example, you can contact a blogger in your niche and ask him to promote your theme or plugin in his/her next post. You can share some profit with him when you get customers from their posts. From several web hosting options available in the market, you have to choose a reliable and good hosting provider for your website, instead of going for free or cheap hosting. To rank higher in search results on Google and Bing, you have to use right SEO (search engine optimization) techniques. Have quality content on your site, optimize it, create a sitemap and submit it to search engines, use SEO-friendly themes and plugins on your site. These are few SEO techniques you should follow to optimize your site. When you rank higher, more people will reach you, which will eventually increase your sales. Build your presence on social media platforms like Facebook, Twitter, and LinkedIn to engage users and communities. There are dedicated groups related to WordPress on these platforms where you can promote your themes or plugins. Also, social media has become one of the most significant part of a business today to establish online presence. There are numerous bloggers and marketers out there looking to earn commission from products of developers like you. By starting an affiliate program for your themes and plugins, you can market and advertise them on blogs in your niche. If a visitor from their site comes to your site using the affiliate link, and makes a purchase, they’ll get some commission. There are many WordPress developers who develop beautiful themes and exceptional plugins, but aren’t able to get what they deserve. If you’re one of them, then you should follow the above-mentioned marketing tactics. These will help you boost sales of your products and make more money from them. Know more marketing tips for WordPress developers; feel free to tell us via comments section below. This entry was posted in WordPress on December 6, 2018 by Michael Pignataro.